Well it's official, we will be getting a Guardians of the Galaxy film! But what does that mean for Nova?? Well right now, nothing. We still not sure if Nova will be included or not, and if he will be, just how big of a role will he get in the film will be a mystery… for now at least. Here's a tad bit from Nova's origin story: Richard Rider, a student at the fictional Harry S. Truman High School in Hempstead, New York, is chosen at random by the alien Rhomann Dey, last surviving Nova Centurion of the planet Xandar's elite Nova Corps, to inherit his power and succeed him in the rank of Nova Prime following the destruction of his world by the intergalactic pirate Zorr. Having been mortally wounded in the battle that tore Xandar apart, Dey succeeds in tracking Zorr to Earth but is unable to defeat him due to the extent of his injuries. Near death, Dey chooses to transfer his power to an unsuspecting human on the planet below, praying that whomever he finds will take up his cause. So yes, his origin story does mimic that of Green Lanterns, so Marvel might want to try and avoid that for now. However, seeing that Sony owns the film rights to Spider-man, Nova is possibly the best candidate to fill that teenage "comic relief" type character in the Marvel Cinematic Universe. Another factor that leads us to believe that Nova will get introduced into the Marvel Cineamatic Universe pretty soon is the fact that Guardians of the Galaxy will be getting made and that Thanos is now present in the universe! 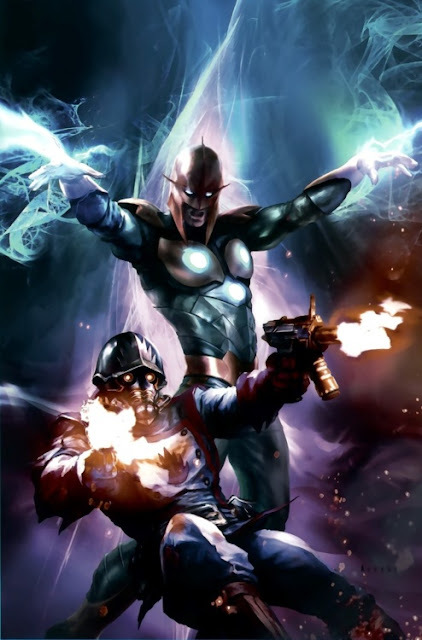 Nova has a history with the Guardians, as well as Thanos, so if he doesn’t make it for Guardians he will probably make it for a subsequent sequel. The great thing about Nova though is that in recent times in the comics, Marvel has moved on from Richard the teenage superhero, as the character has come of age of late. His definitely a commanding presence, and certainly has become one of Marvel's all-powerful characters. They could have him cameo, as a high school student. They could just introduce the audience to the Nova Corps., and deal with Rider at a later date. 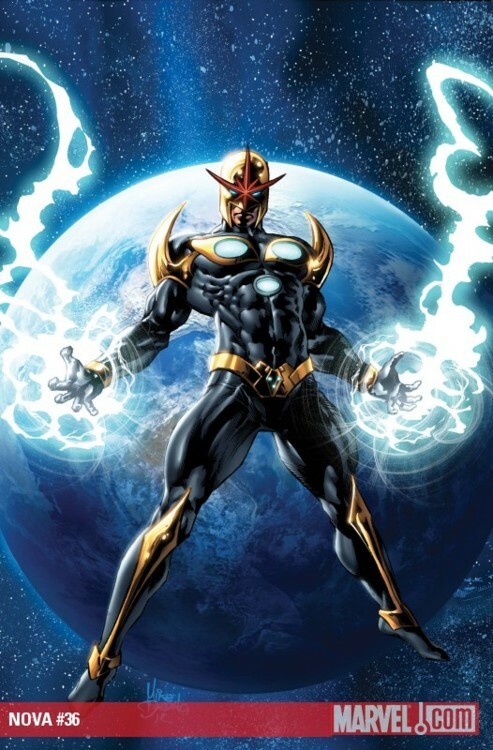 Nova derives his powers from an energy source called the Nova Force, which all Nova Corps Centurions wield. This energy was transferred by Xandarian technology to Rider by the Nova-Centurion Rhomann Dey. Nova's small measure of the Nova Force gives him superhuman powers including flight, superhuman strength, speed, and durability, as well as the power to absorb energy directed against him and release it as gravimetric pulses and beams, either from specific parts of his body or from his entire body. 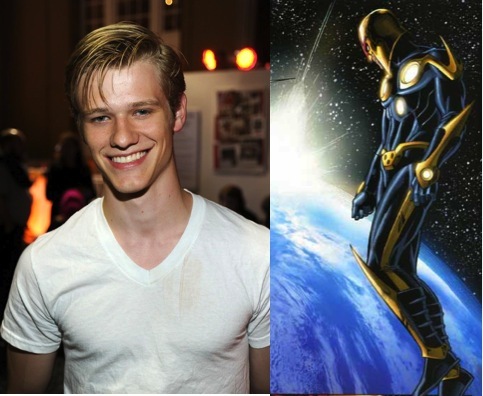 Lucas Till is most famously known for playing Havok in X-Men: First Class, and will reprise the role in a subsequent sequel, but we think he could fit the bill for Rider. Marvel haven't been shy to re-use certain actors in there films, for example Jon Favreau who starred in Daredevil as well as Iron Man, Ryan Reynolds in Blade as well as X-Men Origins: Wolverine, and most famously, Chris Evans playing Johnny Storm in Fantastic Four, and Steve Rogers aka Captain America. So we pretty sure that Marvel won't be against Till if he is up to it! Till certainly cane bring the humor, a cool bravado and definitely looks the part if Marvel decide to go with high school student Rider. 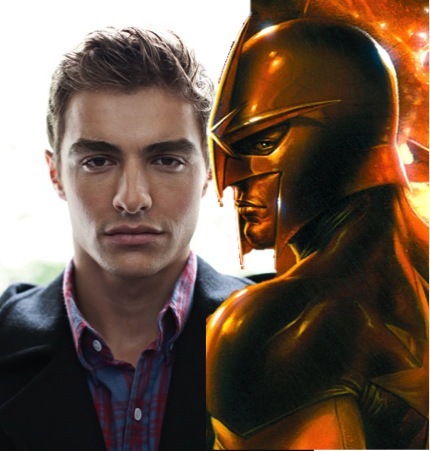 Dave Franco might seem like odd choice, but I think he could be brilliant as Nova. Dave is 28 years of age, however just earlier in this year we seen him play a high school student in 21 Jump Street. We not saying he should play Rider in high school, even though he can, because he does have a young face but we thinking maybe the character could be in college as opposed to high school. Dave will certainly bring the humor that Marvel love in there films, and we could definitely see him just having fun with this role. As Nova is constantly at odds with Worldmind, his Helmet. Dave will certainly be as memorable as this hero, just as Robert Downey Jr. is as Iron Man. 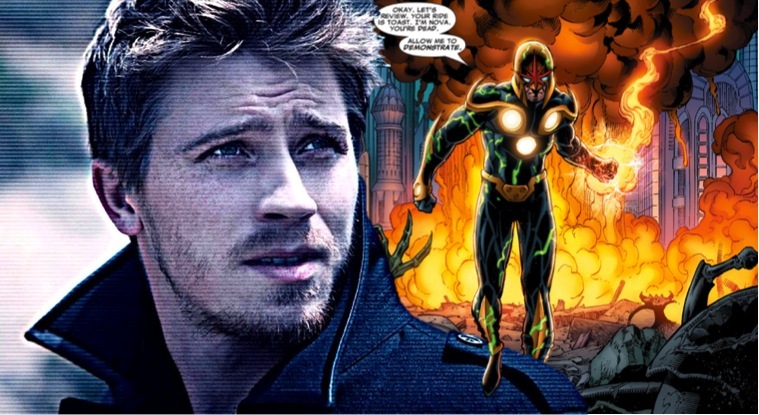 Garrett Hedlund wasn't originally part of my choices, but after considering that Marvel could just skip the origin story and go straight into Nova after he mastered his skills, and knows his purpose, Garrett just popped into my mind. Hedlund certainly poses the characteristics to play a great hero in the making, that's a bit of a hot head/ immature yet is still humble, knowing he has much to learn. For a character that just might pop up for a few minutes in Guardians of Galaxy, you will need someone that the audience will like instantly, someone that they would want to see more of, and Hedlund can be that person. But the great thing about having someone like Hedlund make this small memorable appearance is the fact that if audience really takes a liking to Nova, Hedlund will be able to carry a solo film, and with all the memorable stories that Nova has, it will certainly be a wild ride.